Egypt is the third unhappiest country in the world, found a new study by Gallup. While Egyptians may be filming their own versions of Pharrell Williams’ song ‘Happy,’ the study found that Egypt gave Iraq and Iran a run for their money, coming third by a difference of just a few points. According to Gallup, the negative emotions in 138 countries in 2013 were measured by asking people whether they experienced a lot of anger, stress, sadness, physical pain, and worry the previous day. Gallup then compiles the “yes” results into a Negative Experience Index score for each country. The higher the score, the greater the prevalence of negative emotions in a country. 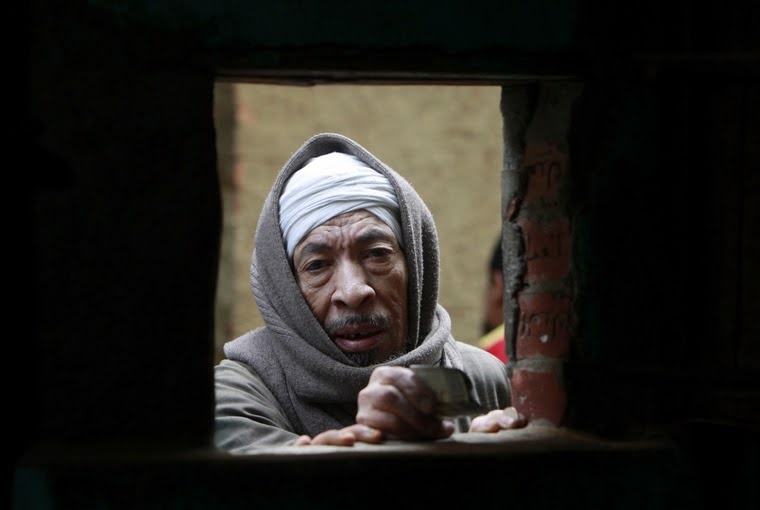 Egypt’s high unemployment and poverty rate has often been pointed to as the reason behind ‘unhappiness’ in the country that has faced two uprisings in the past three years. “The youth are frustrated and depressed with the lack of [employment] opportunities,” said one government official, pointing to the fact that 77 percent of Egypt’s unemployed are between the ages of 15 and 29. The unemployment among Egypt’s youth has also heightened poverty in the country of 90 million. Just over half of all young Egyptians have been classified as living in poverty, according to Egypt’s Central Agency for Public Mobilization and Statistics. The heightened stress and unhappiness faced by many can be reflected by the spike in drug usage. According to Egypt’s Council for Battling Addiction, the use of drugs among people aged over 15 skyrocketed from 6.4 percent to 30 percent since Egypt’s January 25 revolution in 2011. Adding to the country’s myriad of problems, which also involve a flailing tourism industry, is the consistent violence that has rocked Egypt since the ouster of deposed President Mohammed Morsi in July 2013. More than 20,000 have been arrested in demonstrations across the country, branded as illegal by Egypt’s anti-protest law. Moreover, more than 1,000 have been killed in clashes with security forces since August 2013. Meanwhile, more than 500 members of Egypt’s security forces have been killed in multiple gun and bomb attacks across the country. Nevertheless, while some continue to express pessimism about the future, many of the 25 million Egyptians who headed to polling stations last week to vote on their new President felt that the worst is in the past. Feeling sad after reading this article? Check out these 10 photos from Egypt that will make you smile!